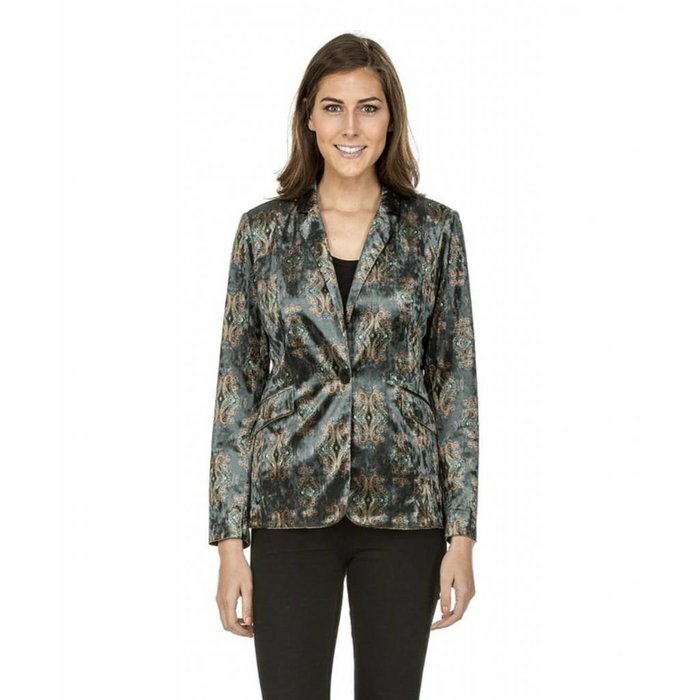 This beautiful Paris Blazer is a soft velvet paisley design. Front buttons and side pockets add to the design. 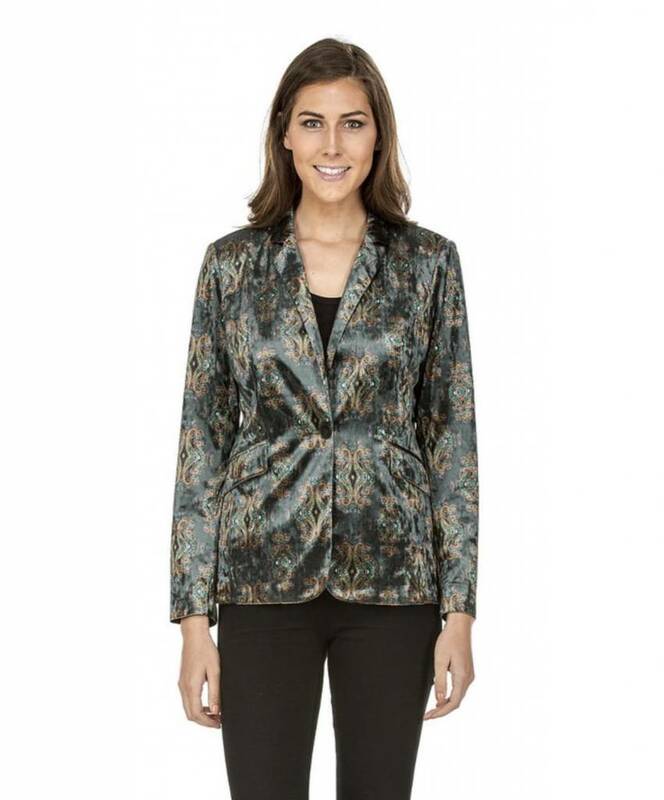 The rich hues will be a go to in your closet.